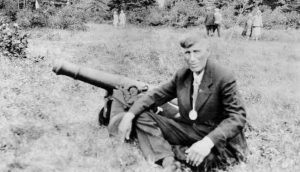 The Nova Scotia government plans to grant a pardon to the late Mi’kmaq Grand Chief Gabriel Sylliboy for his 1929 conviction for hunting muskrat out of season. Deputy Premier Diana Whelan made the announcement during the 30th annual Mi’kmaq Treaty Day celebrations in Halifax Monday. “(Premier) Stephen MacNeil fully supports this decision,” Whelan, who attended the celebrations on behalf of the Nova Scotia premier. “It will recognize that Grand Chief Sylliboy hunted in accordance with his right to hunt wildlife as a Mi’kmaq in Nova Scotia,” she said. “This pardon will be symbolic of other Mi’kmaq who may not have been treated fairly during to what is referred to an era of treaty denial,” Whelan said. Mi’kmaq Grand Chief Gabriel Sylliboy was charged in 1928 for hunting muskrat out of season/Photo courtesy of Nova Scotia Archives & Mi’kmaq Association of Cultural Studies. Gabriel Sylliboy was born in 1874 in We’koqma’q First Nation, N.S. He served on the Mi’kmaq Grand Council as Grand Keptin before he was elected as Grand Chief in 1918 when he was 44 years old. In 1928, Grand Chief Gabriel Sylliboy, who was 54 years old at the time, was charged under the Nova Scotia Lands and Forests Act for possessing 14 muskrat pelts out of season. Sylliboy fought the charges in court, using the peace and friendship treaties signed between the Mi’kmaq and the British Crown during the 1700s as his defence. Sylliboy argued that the treaties recognized and guaranteed his right to hunt. However, the judge at that time ruled the treaties were invalid and found Sylliboy guilty. Sylliboy passed away in 1963 at the age of 89. More than 50 years after the Sylliboy case, another court case involving Mi’kmaw hunter James Simon of Indian Brook First Nation, N.S. made its way to the Supreme Court of Canada. Similar to Sylliboy, Simon was charged with hunting deer out of season. In 1985, the Supreme Court of Canada ruled that the 1752 Peace and Friendship Treaty, which guaranteed the Mi’kmaq right “hunt and fish as usual,” was valid and overturned Simon’s convictions in the lower courts. 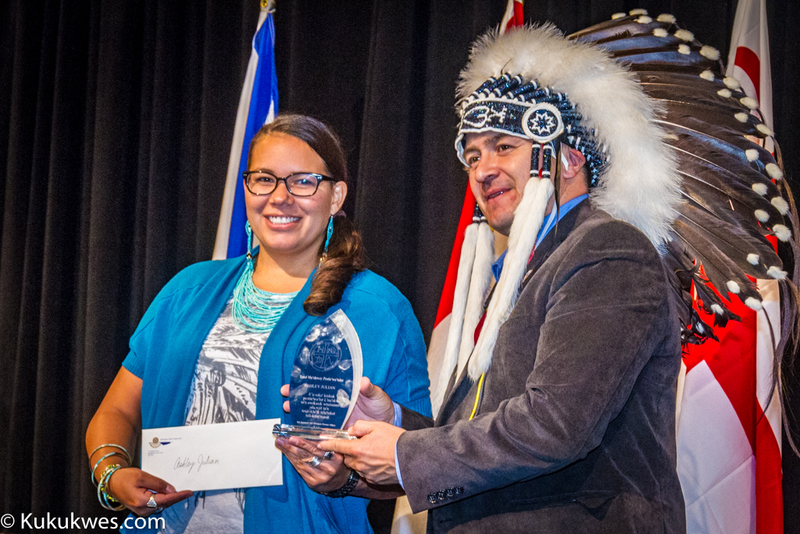 In 1999, the Supreme Court of Canada again ruled that the Peace and Friendship treaties of 1760 and 1761 guaranteed Mi’kmaw people’s right to catch and sell fish to earn a “moderate livelihood.” That case involved the late Donald Marshall, Jr. of Membertou First Nation, N.S. who was charged in 1993 with catching and selling eels without a license in near Pomquet Harbour, N.S. Like the previous two court cases, the Supreme Court of Canada overturned Marshall’s fishing violation. 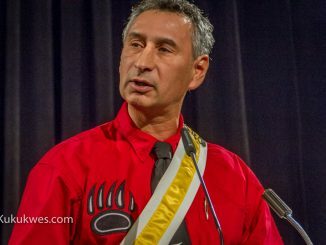 Antle (Andrew) Denny, the great great grandson of the late Grand Chief Gabriel Sylliboy, described the Nova Scotia government’s announcement as an act of reconciliation with Mi’kmaw people. 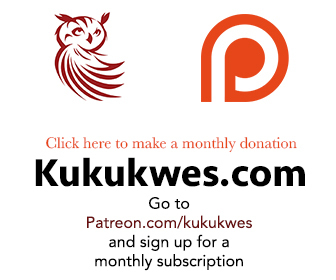 “It fills my heart with hope when I hear today that almost 90 years after a court told our Grand Chief that he had not treaties, the the province is taking steps to right that wrong,” Denny, who is also a Grand Keptin with the Mi’kmaq Grand Council, told the audience Monday. 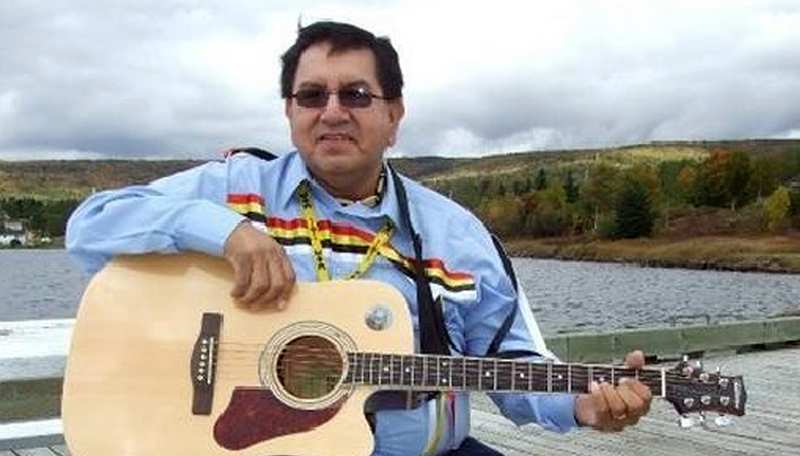 Denny described his great-great grandfather as a leader who was honoured and respected by many Mi’kmaw people. “Boats would stop as he passed going to Chapel Island, going to the mission because no one wanted to splash him,” Denny said in an interview. “Elders would gather at the wharf to greet him. Unmarried couples, if they were going to get married, would come and ask for his blessing and that was respect,” he said. 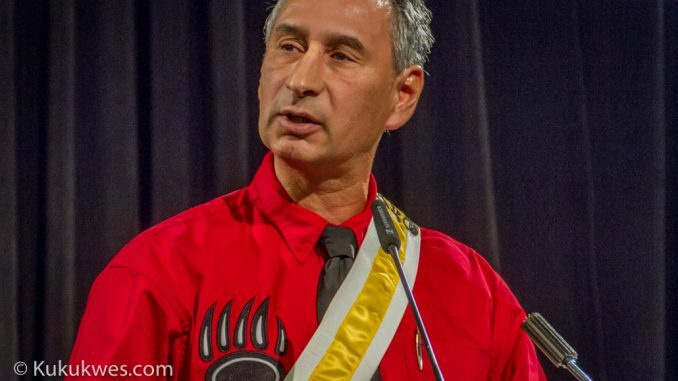 “When you have a person who’s so revered and so respected and so honourable and be told by the court at that time that his treaties were not valid, to make it right now is really fantastic,” he said.